IAVA members and leaders from across the nation descended on Washington, D.C. to advocate for meaningful change for the post-9/11 generation of veterans. They gave testimony in front of the House and Senate, met with the VA Secretary, got closer to change-making legislation, and launched IAVA’s Policy Agenda for the 116th Congress: A Lasting Legacy. Our advocacy is directly derived from our member input, via this year’s IAVA Member Survey. 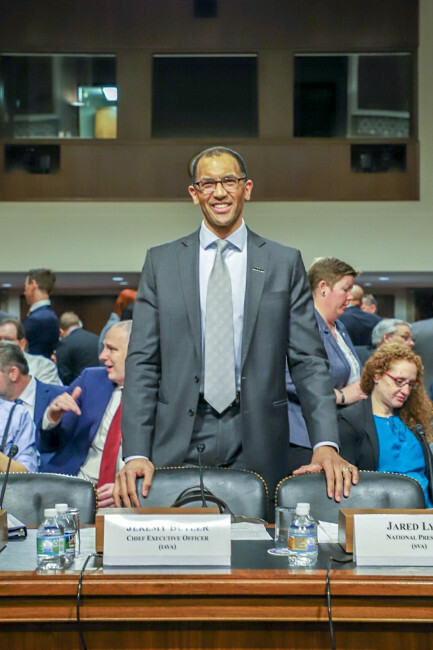 IAVA CEO Jeremy Butler testified before a joint session of the House and Senate Veterans Affairs Committees on IAVA’s Big 6 Priorities. Read Jeremy’s testimony here. 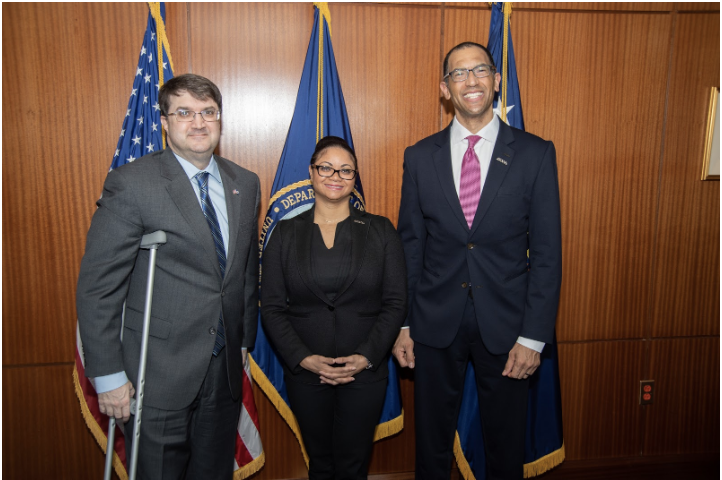 IAVA CEO Jeremy Butler and Chief Policy Officer Melissa Bryant met with Secretary Robert Wilkie to discuss important issues for the post-9/11 community of veterans, and to obtain the Secretary’s commitment that IAVA will be invited to the table whenever our issues are at stake. IAVA Members activated in front of the Department of Veterans Affairs as part of the #SheWhoBorneTheBattle campaign to show that service comes in many forms, regardless of gender, race, or religion. IAVA’s membership demands a change to the VA’s motto. As written it excludes the entire community of women who have fought for this country. In addition, IAVA held a press conference on Capitol Hill featuring Senator Jon Tester (D-MT), Representative Kathleen Rice (D-NY-4), and Representative Raul Ruiz (D-CA-36) highlighting the importance of IAVA’s Big 6. In total, 20 IAVA Member Leaders from 10 states flew into Washington, D.C. to advocate on issues impacting the post-9/11 generation. Photos from this week can be found on IAVA’s Flickr page here and all Storm The Hill updates are here. This is only the first of four Storm the Hills throughout 2019. IAVA’s summer Storm the Hill is just around the corner: June 10th through the 14th. About Storm the Hill: Storm the Hill is IAVA’s signature leadership development program. Over the years, it has grown from a handful of veterans walking the halls of Congress into a nationally-recognized activation – placing Iraq and Afghanistan veterans across the media and in more than 100 meetings with our nation’s leaders. Storm the Hill is now a quarterly advocacy campaign and the most powerful non-partisan policy impact program for post-9/11 vets in America. Veterans are selected from all across America in an extremely competitive process. They are diverse in terms of military rank, geography, gender, political party and ethnic background. These dedicated leaders volunteer to leave behind their families, jobs and school, to undertake an intense, once-in-a-lifetime training experience in Washington, DC focused on helping them become powerhouse veteran advocates for the rest of their life. These inspiring leaders are then unleashed on Washington in small teams for a barnstorming week of IAVA-led Congressional testimony, press conferences, panel discussions, meetings with Senators and Representatives, visits to VA, the Pentagon and the White House. Each first session of Congress, Storm the Hill also introduces IAVA’s Policy Agenda and priority legislation. More details, bios of the Stormers, and a schedule of events can be found at www.StormtheHill.org. And via the hashtag #StormTheHill on Twitter.